Combines the productivity associated with flexo with the flexibility offered by rapid job change digital technology. The Domino N610i, with industry standard 333mm (13”) print width, up to 7 colours including opaque white, 600dpi ‘native’ print resolution and operating speeds up to 75m/min (246ft/min) is the only label press that combines the productivity of flexo printing with the flexibility offered by rapid job change digital technology. 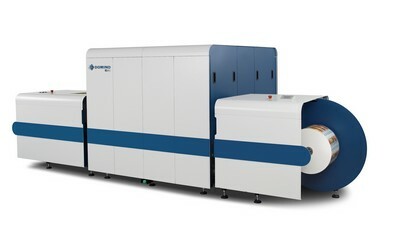 During a 30 minute flexo make-ready, the N610i could produce up to 2250m of print. This could be 10 new customer jobs secured by your reduced lead times. This offers label printers an investment that provides added potential for greater sales growth and increased profitability, whilst reducing production cost and complexity. 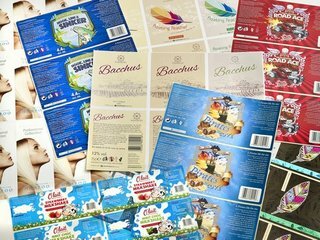 The N610i uses vibrant UV curable inks designed for a range of industry standard self-adhesive label stocks including coated paper, polyethylene and polypropylene, normally without the need to prime. Key applications include industrial, security, health and safety, automotive, chemical, personal care and pharmaceutical labels. The N610i integration module can be supplied as part of a conventional printing system. This may include flexo stations before and after the N610i module as well as screen and foiling stations. This meets a wider range of product design needs but still provides digital quick change for multiple SKUs. The N610i integration module enables our customers to configure a digital hybrid press that meets their business needs. The highest productivity – with print speeds of up to 75m/min (246ft/min), the N610i will accept 340mm(13.4”) wide media with 1m(39”) diameter input and output rolls for maximum throughput. The most consistent print results – Domino’s unique intelligent Technology i-Tech features are what really makes the Domino difference, delivering consistent print results job to job. The best digital ink jet quality – with 600 x 600dpi native resolution, the N610i is the ink jet label press with the highest native print resolution on the market. ActiFlow – this innovative ink circulating system maintains a constant ink temperature and removes any dissolved air in the ink delivering consistent print colour and superior reliability. CleanCap – this revolutionary automated print head cleaning and capping station maintains constant print nozzle performance delivering consistent print results and minimal downtime. StitchLink – using micro-motor controller technology the print heads are aligned to micron levels of precision during installation, enabling seamless print across the full web width. We will only send you emails relevant to your sector or industry type. We will never give your information to third parties.